Because a Backpackers’ Hostel should be MORE THAN JUST A BED! It should be a place you feel safe, comfortable, relaxed and be somewhere you can meet awesome people! The very first hostel at the Airport of Hanoi – Hanoi Noi Bai International Airport is now open! 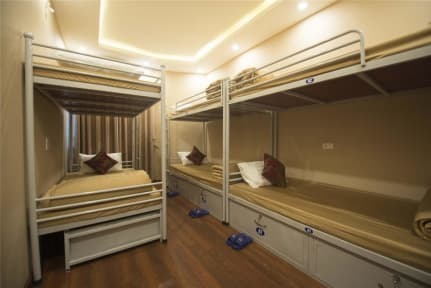 Welcome to Hanoi Airport Hostel – The only location that offers hostel beds at only 7 USD a night. 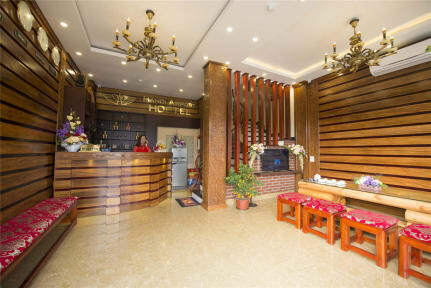 Located in the area of Hanoi International Airport – Hanoi Airport Hostel is proud to offer it best standard rooms and hostel beds at it best price. Only with 5 USD can get you a comfortable night at a good location, clean hotel hostel. •We have restaurant is open for Breakfast and Dinner serving fine Vietnamese and Western cuisine. •We provide Airport transfer service to both terminals from 4:45 am until 9.45am,7 days, for. Contact the hostel for transfer options. Best place to stay close to the airport if you have an early flight or late arrival. I arrived late and was picking a friend up at the airport the next morning, we were going to take a bus to Sa Pa from town but the staff called the bus so it would pick us up from the airport, which made our life so much easier, as we would have otherwise missed it because of flight delays! Only downside was that the room was quite damp, but probably due to the weather. We had a great stay here before our flight, double room great price extremely comfy. The receptionist went out of his way to help us send the postcards we forgot about. 100% recommend. Nice and close to the airport. Make sure you email them ahead of time to arrange pick up from the airport, as the taxi situation was less than ideal. The hostel was very clean and a great place to stay while in between flights. The only downside was that we couldn’t find a lot of food options close by. Excellent host. Lovely family. Budget hostel with all the basic needs. Safe colony. Good Hostel if you need to catch an early flight. Great place to stay before a flight great staff and great room. Some of the reviews had said that the beds were hard. I didn't find this to be an issue- they were firm, but almost more like memory foam firm than hard. Breakfast was fine- toast and eggs. Staff was helpful with arranging rides for others, and told me that Grab was the best and cheapest way to the airport. Bathrooms are right next to the beds and the door is not soundproof. All in all, it was a cheap night's stay close to the airport.